Investing in student accommodation is one of the hot topics amongst property investors at the moment. The thriving student population combined with high yields has made it an attractive option for many. But, before you rush in and start snapping up student properties, it’s worth doing your homework to decide whether investing in student accommodation is right for you. Here’s our guide to what you need to know before you commit to becoming a student landlord. High demand – many cities have a thriving student population who all need somewhere to live. High yields – students generally need less space and are happy sharing properties with multiple people, maximising income even on smaller properties. Prompt payments – it’s not always the case but often parents will be the ones paying the rent which usually means you’ll be paid on time! Fewer complaints – students tend to be less demanding than older tenants and are more willing to accept any problems that occur. Uncertain future – students tend to change their living arrangements more regularly and sometimes drop out of their course. Vacant properties – it’s likely your property will be unoccupied for long stretches over summer and for holidays such as Christmas. This can mean a higher risk of break-ins or property damage and may leave you with months where you receive no rental income at all. Maintainance costs – although students tend to complain less about issues, they are also more likely to cause damage to a property, leaving you with more repair bills and redecorating costs. Disruption to neighbours – as students like to party, neighbours may complain about noise and disruption from your tenants. This can case more than a few headaches for you! If you decide to invest in student property, there are a number of different types of student accommodation you can consider. These are the serviced apartment blocks that are springing up around Universities across the country. The advantage for landlords with purpose-built properties is that they are usually entirely managed by a service company. That means it’s an entirely hands-off way to invest in student accommodation. If you find a flat or apartment up for sale near to a student area, it could be a good choice for investment. They are often easy to manage and you won’t have to worry about gardens overgrowing or anything like that. A shared house or an HMO (house of multiple occupancy) is a popular choice of investment for student landlords. They are usually larger properties that have been converted into several separate bedrooms and a few shared areas. The advantage of such properties is that they allow you to maximise your yield, spread your risk, and improve the ease of maintaining the property by having multiple tenants under one roof. There are several factors that make a good student property. For this, you’ll need to put yourself in the position of a student to understand why they are so important! It’s probably fairly obvious but most students prefer to be near where they study. It makes it easier to get to lectures and reduces travel costs. Generally, the nearer to the University or college, the better. This one is so important for most students that it probably even trumps the previous one! Most students enjoy socialising and so being close to several student-friendly bars and clubs is definitely a plus point. Ideally, the property will be close enough to the nightlife to avoid the need for costly taxis. However, it should also be far enough away to avoid the worst of the noise when exam time arrives. Students will often travel home at weekends and during holidays, therefore a property that’s close to some good transport links is often favourable. Find out where the nearest bus and tram stops are, and check journey times and costs to the main bus and train stations. As many students won’t have their own transport, being near to shops and takeaways is generally desired. Most towns and cities with Universities have specific areas where most of the students live. Not only does this mean students are close their friends, it also helps reduce issues of noise disturbing non-student neighbours. Try to pick properties that are surrounded by other student properties to help ensure your property is occupied throughout the academic year. What Makes A Good Student House? 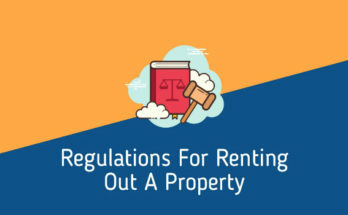 If you have decided to buy a house to rent out to students, rather than buying a flat or purpose-built accommodation, there are a number of things to consider that can make or a break a property for students. Students often like to have some outside space for BBQs, smoking, or even just to enjoy the sun, however, they don’t usually want to have to spend time maintaining it. Avoid grass when possible as it will likely become overgrown and neglected. Instead, stick to paving or decking so students can enjoy the space with only the occasional sweeping up needed. Unlike a typical tenant, students are often quite happy with relatively small bedrooms. It’s less for them to try and keep clean and tidy and, providing there are some good communal areas, they are unlikely to spend much time in their bedroom. Tied into the previous point, in shared student houses, good communal areas are a must. They don’t need to be huge as the ease of keeping it clean and tidy is still an issue, however, it has to be large enough to allow the tenants and their friends to gather. As the areas are likely to be used for parties and gatherings, hard flooring is preferred over carpets to help avoid damage from spilt drinks. Contrary to what many people think, students don’t spend their entire time partying. They work just as hard as they play and will have deadlines to meet on their coursework and exams to revise for. Therefore, make sure there are good working spaces available in the property. Ideally, there should at least be a small desk in each bedroom. This allows students to work in private when the communal areas are busy. With plenty of coursework to do, friends and family to keep in touch with, and the latest box sets to watch on Netflix, a fast, reliable internet connection is a must for most students. Make sure you choose a property that is able to be hooked up to fibre broadband and look at providing a good router with Wi-Fi available in all rooms in the house. You may also want to check 3G and 4G phone reception too to ensure students aren’t cut off from the online world if their internet connection goes down. Depending on how close the property is to where the students study, you may find they like to cycle to where they need to go. Cycling is cheaper than public transport and is also great for more fitness-conscious students. You can help encourage this cheaper, healthier lifestyle by providing secure storage for bikes. Bonus points if you can also put it undercover to keep them dry too! Cars are no longer a luxury. As such, many students now own their own car so they can get where they need to be quickly and easily. Therefore, properties with some form of parking available are often sought by students with their own car. As you can see, there are some great reasons to invest in student property, and a fair few things to watch out for too. They can be a great investment when done correctly so make sure you approach it right. We reported recently on how students are looking to take back control of the property market using student house co-operatives. These have been born out of the perception that landlords of student properties are only in it for the money. Therefore, if you do decide to invest in student accommodation, make sure you treat the students as you would want to be treated yourself in order to build up a long-term viable business.